Don’t like a pose or part of a pose you’ve created? Zero it without changing anything else you’ve done to the figure. You can zero a pose on the Parameters Tab or from the edit tab. 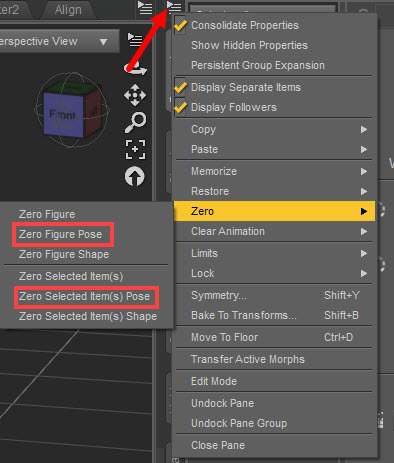 To zero the whole pose, select it and click zero figure pose. To zero part of a pose, the hand for example, click on the hand with the active pose tool (bone). 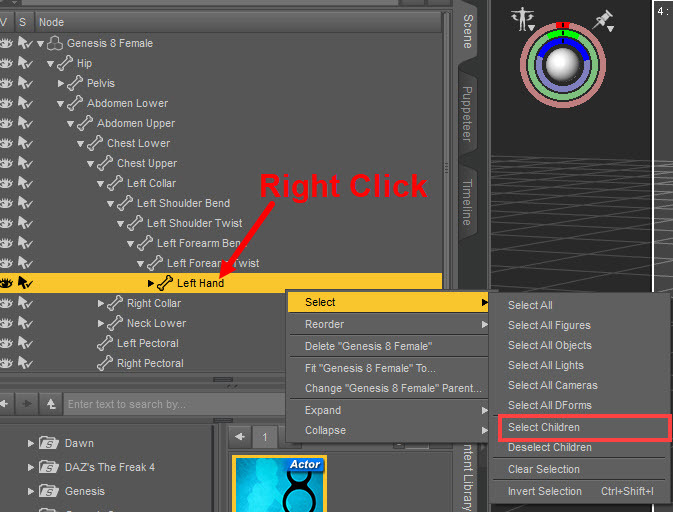 Right click on the scene tab, hover over select, click on select children. This will select the hand and all of the finger segments. (See first image).